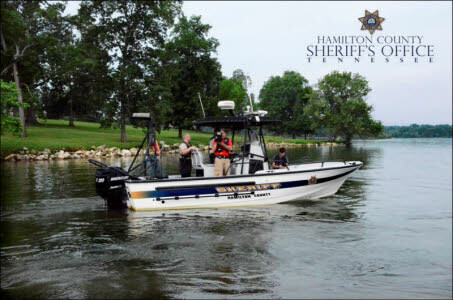 Sheriff Jim Hammond and the Hamilton County Sheriff’s Office Marine Patrol Division hosted a press conference on Saturday, at Chester Frost Park in recognition of National Boater Safety Week beginning this Sunday. 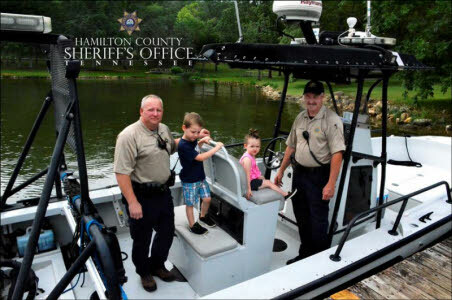 During the press conference, members of local media learned about the HCSO Marine Patrol Division’s mission and ways to encourage safe boating habits for families. 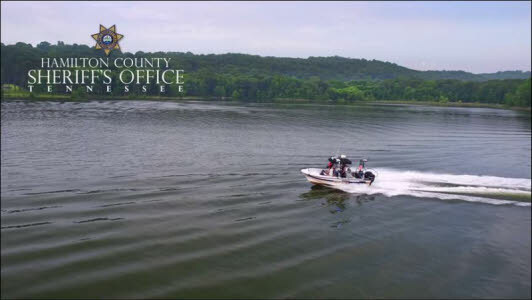 Sergeant Matthew Purvis of the HCSO Marine Patrol Division offered tips to help boaters enjoy the boating season as well as discussed various safety equipment required to be kept aboard various vessels and watercraft. 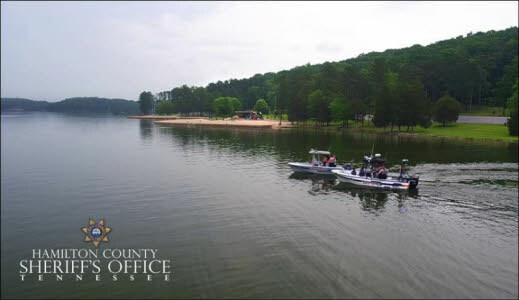 After the press conference, members of local media took a tour and excursion aboard Marine One and Two and were able to participate in live boat checks with area boaters. Reporters were also able to witness firsthand the speed, power, and agility of Marine One and Two as both vessels were put through various runs and maneuvers. Also participating in the presentation was the newly formed HCSO Unmanned Aerial Systems (UAS) Division. 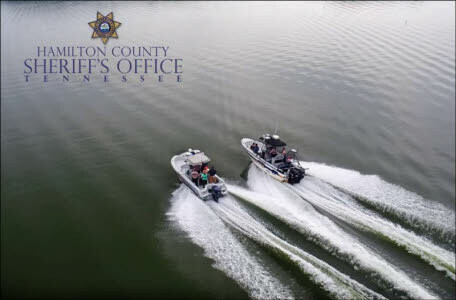 HCSO UAS Division ground pilots utilized drones to showcase the many uses of drones in law enforcement and their capabilities over water and for surveying moving objects. Several members of the community also came out with their children to see Marine One and Two and learn about proper boater safety. 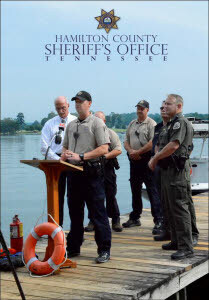 The HCSO would like to thank the following personnel for their efforts to make the press conference possible: Deputy Chief Bill Johnson, Captain Mark King, Captain Chuck Gaston, Lieutenant Mark Hooper, Lieutenant Shaun Shepherd, Sergeant Mark Williams, Sergeant Matthew Purvis, Detectives’ Richard Whaley, Marty Dunn, and Shane Forgey, and Deputies’ Brian Killingsworth and Jerry Mauldin. 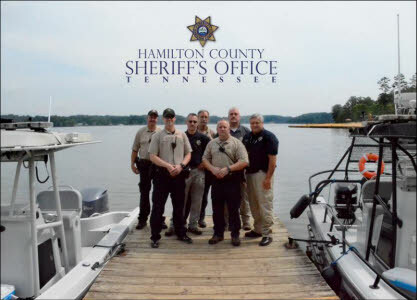 A special thanks to Hamilton County Park Director Tom Lamb and Captain Noel McDaniel and Lieutenant Dan Renegar of the Hamilton County Park Rangers.